“You appear to be moving very slowly into the Gobi Desert. Are you sure you want to do this?” – Things Google Maps isn’t designed to say. Leaving the Chinese border, there were actually two parallel paved roads. Take the North one, because it goes through towns and is mostly paved. 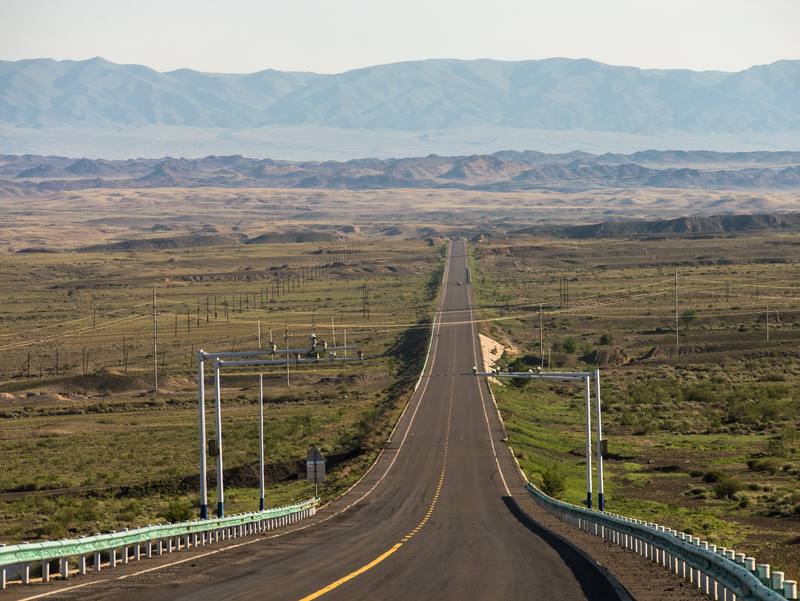 After almost two weeks running from Police in China, using various mapping resources that run acceptably well through the Great Firewall, I completely missed how close I’d be coming to one part of the Gobi Desert. I guess by some definition, you could say that my route, unbeknownst to me at the time, had me crossing it. I’m not sure where the precise borders of the Gobi are, or if there even are precise borders of such a monstrous geographical feature. Regardless, Google gave me no warnings when I crossed into the region about how absolutely desolate the area would be. 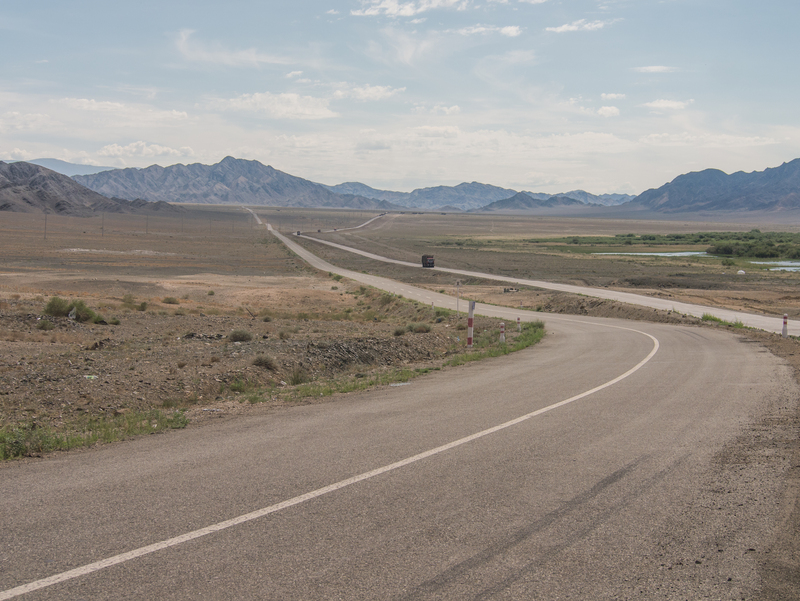 When I finally zoomed out a few days into Mongolia, I discovered just how close my route had gone to the ‘Great Gobi B’ on Google Maps, it in all honesty came as a surprise. 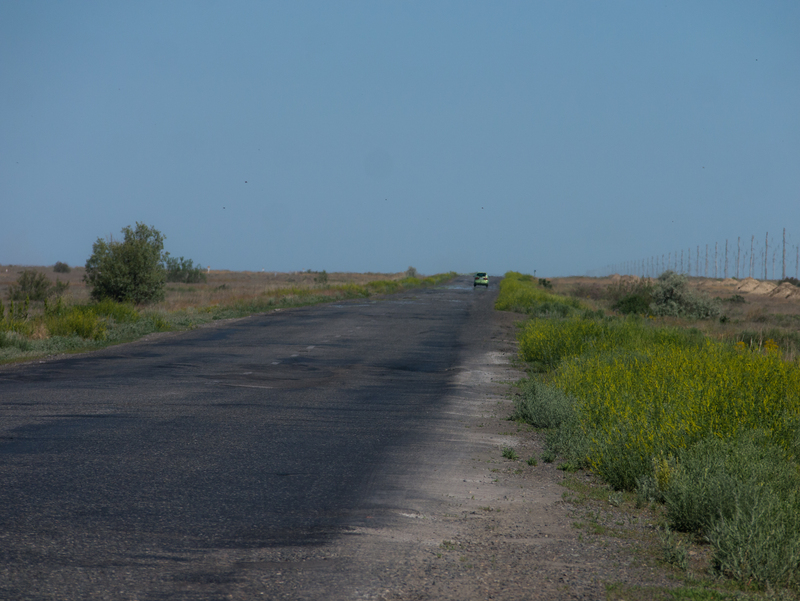 I had planned this leg thinking it was just another barren steppe, one of many I’d crossed since leaving Kyrgyzstan about a month ago. Please take your shotgun out of my face before we take this picture. If I sneak around this truck then the toll booth won’t see me and I’ll have better luck camping tonight. It’s 1am and an unknown number is calling me at my campsite. Must be the police. Well, whatever they have to say can wait until tomorrow. I wish she had interrogated me a little longer. It was really nice to speak English for a bit. Wide open spaces and police cameras. I make sure to smile for every one.